Sanam Baloch is Pakistani actress and TV presenter. 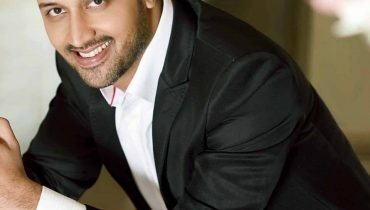 She was appeared in many drama serials. 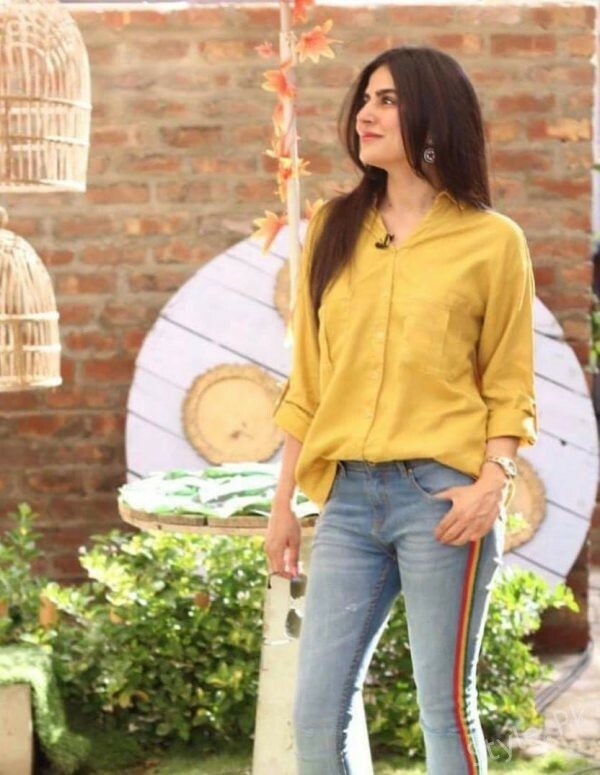 Sanam Baloch hosted many TV shows and is also hosting a morning show on ARY news. 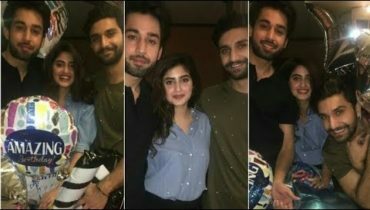 Firstly she hosted Sanam Small Room and Diyoo. Sanam made her drama debut with drama serial Dastaan and later on starred in Durr-e-Shehwar, Kankar, Daam, Kuch Pyar Ka pagalpan and many more. 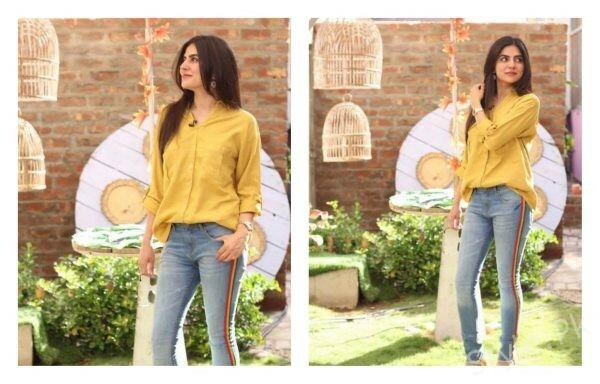 Sanam Baloch is bestowed with some natural good looks. 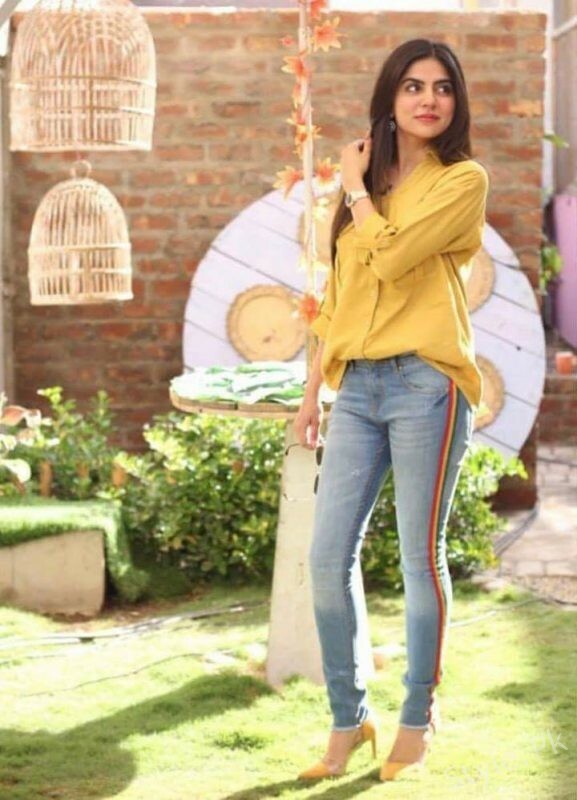 See Sanam Baloch looks elegant in her recent pictures! She received so much love from the audience because of her amazing looks. 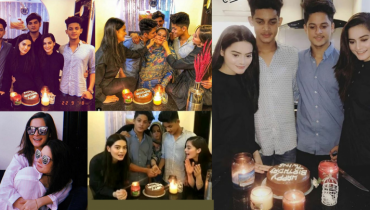 Here we have some recent pictures of Sanam Baloch. 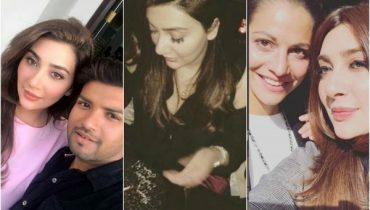 She always shares her pictures with her fan following on social media. 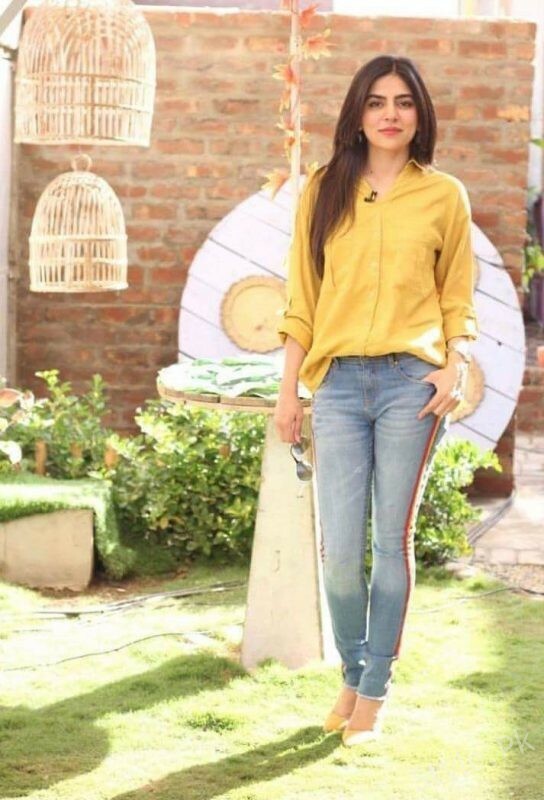 Recently, she shared her pictures with her fans on Instagram in which she wore beautiful yellow shirt with jeans. She looks elegant in her recent pictures. 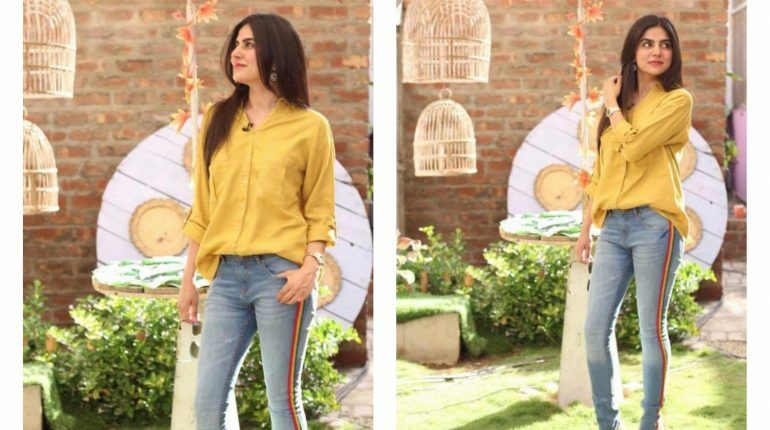 Have a look on the pictures of charming Sanam Baloch;Sanam Baloch looks elegant in her recent pictures! Also See: Hania Amir posing in Toronto wearing beautiful outfit by Shehla Chatoor!